This year saw a lot of change for us. Starting in April, I took on a full time gig over at Hewlett Packard, working on their HP Flow CM solution. 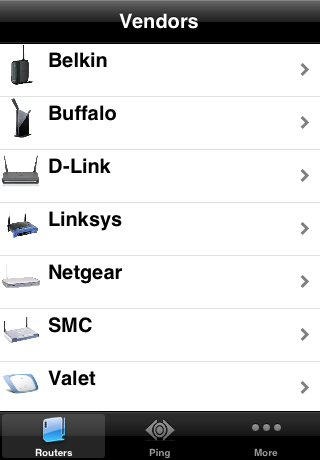 We released a few iOS and Android apps for clients (more info on this later) and have started on a few more. I’ve invested in some small things with hopefully large ROI. And finally, I finished my first semester teaching over at Boise State University teaching mobile application development on the Android platform. Next semester will be taught using iOS, which I’m looking forward to. Ana has continued her Water Engineering job with much success, working on plants all over Boise and the surrounding cities and Twin Falls. As an engineering family, we got a lot done, a lot of projects completed and were rewarded for all that effort by being able to crush the final student loan debt I’ve been putting off paying, and investing in new opportunities. This year we finished up a month-long trip to Florida and Colombia. We also made it to New Jersey, New York City, Yellowstone and the Grand Tetons. We’ve put hundreds of miles of hiking and walking under our belt, but not as many rock climbing routes as we would have liked. However, we put up a bouldering cave in our garage to help. 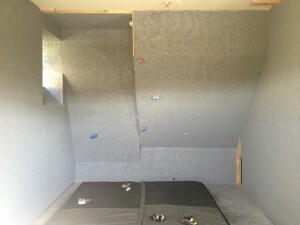 The bouldering cave that we built in our garage turned out better than we could have imagined. We still need to buy some more holds to set up different routes, but it’s been a blast setting up routes for ourselves and friends’ kids that visit. We also bought a house that was only two years old, but we’ve still a lot of time into making it home. I’ve done a lot of work on my bike with the help of my friend Nick who runs a motorcycle parts company, near Boise. I helped him put the site together and he’s helped keep my bike maintained. Overall, teaching has been the best opportunity. While it paid a little bit in money, it paid a ton in satisfaction of knowing I’ve made a difference in the lives of the 28 students that I had for Fall Semester of 2013; some more so than others of course. I look forward to improving the teaching of mobile apps to students and can’t wait to see their apps popping up on the app store. The rock climbing gym should allow us to stay better trained to continue climbing the 5.10b’s that we’re able to climb at places like Smith Rock and City of Rocks. Now that Matyas is a bit older, we can hopefully travel more, like we use to before he was born, although traveling with him to South America when he was 1 month wasn’t a bad trip. My wife and I have been climbing for a few years and spending quite a bit of money for our monthly climbing gym membership. While we would usually go about 3-5 times a week, it was always a chore to get there in the first place. In the past, I spent a few hundred dollars on some weights and since then, have never felt the need to sign up for a gym membership. Whenever I felt like it, I’d pick up some weights and do some reps. I’d do this fairly often and through out the day. So it started making sense to take that same idea and apply it to rock climbing. 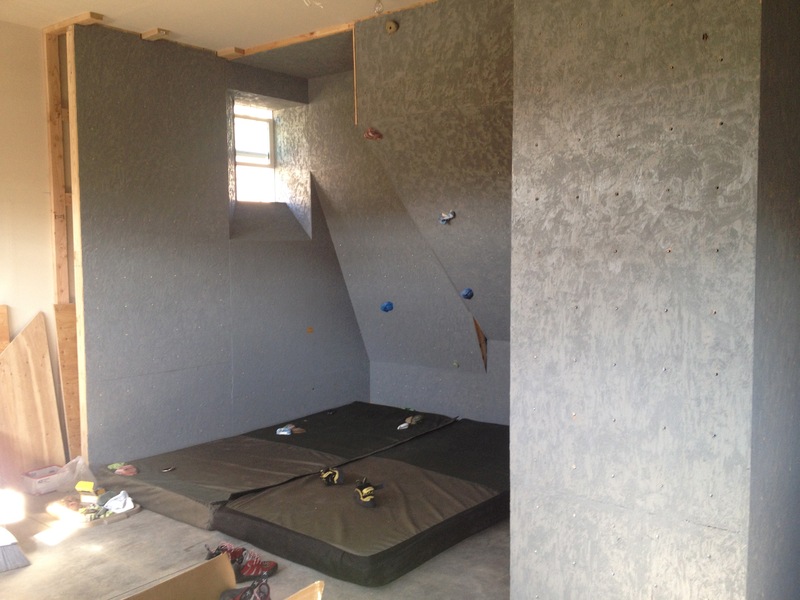 So we built a rock climbing wall, also known as a bouldering cave, in our garage. We have a 3 car garage but only one car, and we don’t have a lot of junk being stored in it. So when we first moved into our new house, here in Boise, our garage was feeling quite empty. The third car port didn’t have a garage door opener on it, nor did it feel like a car should go in there. 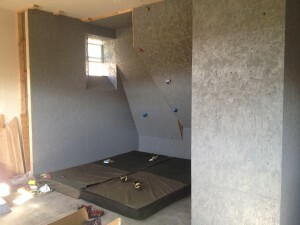 The area itself just seemed perfect for a bouldering cave due to it’s U-shaped walls. We did some research on cave designs and knew we wanted a 45 degree wall. Vertical walls are almost useless and a waste of effort. One problem was, we had a window on the left wall that we didn’t want to cover up. This would allow natural light to come in while we’re climbing and not have to burn electricity while we’re out there during the day. It would also allow cooling and ventilation in the summer so we just had to keep it open. 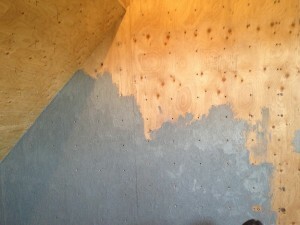 It turned out to be a bit of a problem as a 45 degree wall would come right out and cover part of it up. We spent almost an entire day planing it out, thinking about pros and cons about different wall designs. We decided to make a 30 degree wall next to the window and a 45 next to it against the other wall. 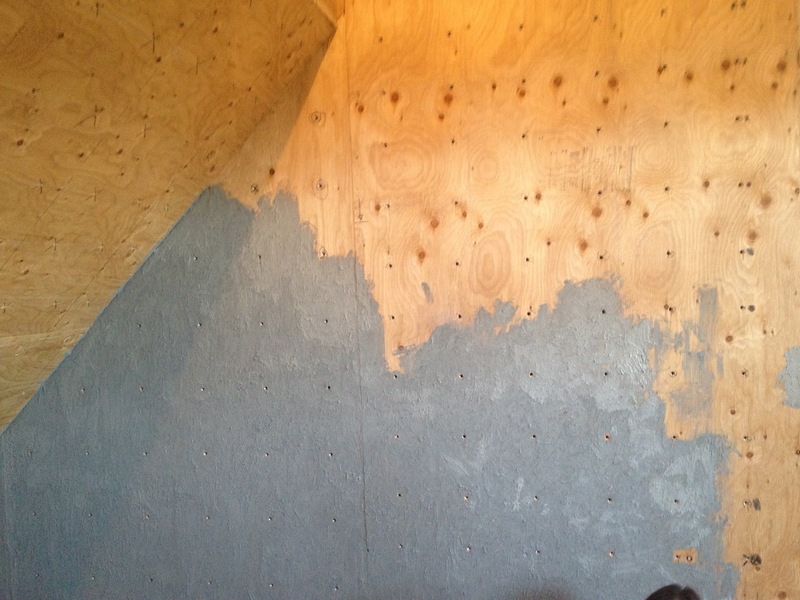 We then decided to extend out and wrap around the dividing wall for some extra climbing surface. These walls are flat as we didn’t want them to jut out and take up more space, but they can serve as walls for kids or extra distance for traverse warmups. We borrowed a lot of the tools from friends since there was a ton that we ended up needing. Plug in hammer drill – the hammering feature helped drive in screws to concrete. Drill bits – for various pilot holes, but also a special one for the t-nuts. Belt sander – sometimes you’re a few millimeters off and instead of recutting, you can just sand off that extra length. We always cut a tad long, sanded it down and made everything fit with high precision. We made a ton of trips to the hardware store. This was mostly because we ended up wrapping our wall out and around the dividing wall that was there so we needed more materials than we first expected. We also were generous on the use of screws since everything needed to be tight and snug. Any movement of the wall as we pulled and climbed on it, would be a jarring experience as rock shouldn’t ever move. We built a frame for the wall in front of the actual wall to allow us to get back inside to fix fallen t-nuts and inspect the structure in coming years. This took some space away for climbing as it made the inner area smaller, but it’s well worth it and necessary. 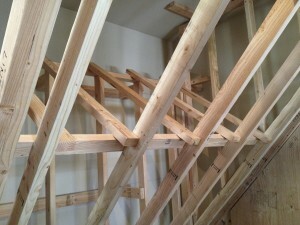 Once we were done with the framing, we could build out the angles. Using clamps to secure some 2x4s at a 45 degree angle, we prototyped what the wall would look like. We sat under it to get a good feeling for what it would be like to climb at that angle and height, and moved the 2x4s up and down, adjusted the angle by a few degrees both ways and got it to “feel” right. Once it felt right to us, we screwed in the 2x4s and took off the clamps. We did this for the 30 degree wall as well to get it to work with the window. We had a little less choice with that, since a wall that was too steep would come out and cover the wall, so we brought it out as steep as we could to hit the top corner of the window. With the main structure in place, we finished up the framing of the angled walls. 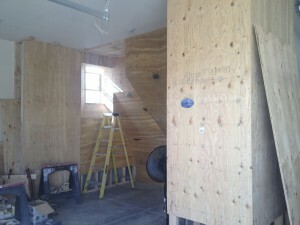 Once the frame was done, we started measuring and cutting the plywood for the wall’s face. 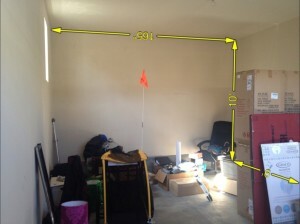 We tried to keep waste to a minimum while cutting and planned out the cutting of the 4’x8′ sheets. 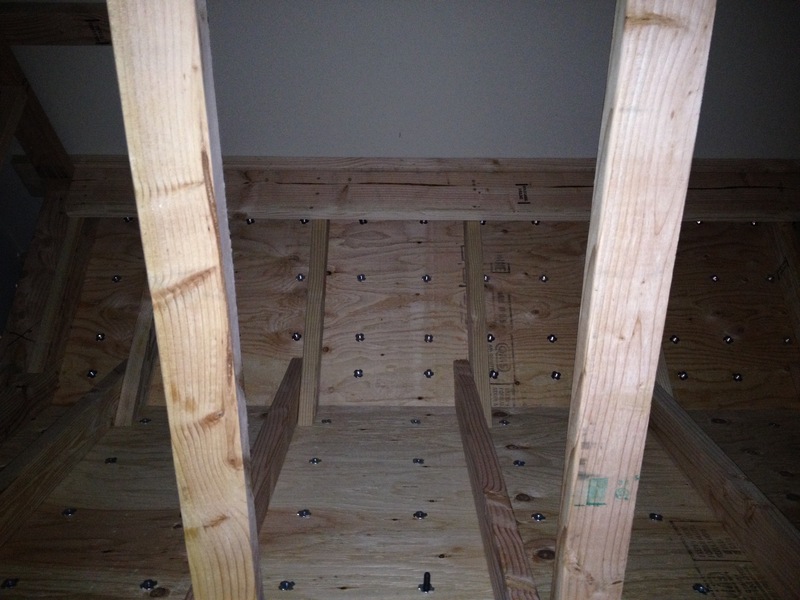 We actually made the frame 8′ deep and 8′ wide to best fit the plywood. You can’t reliably climb on a wall that doesn’t properly span studs. 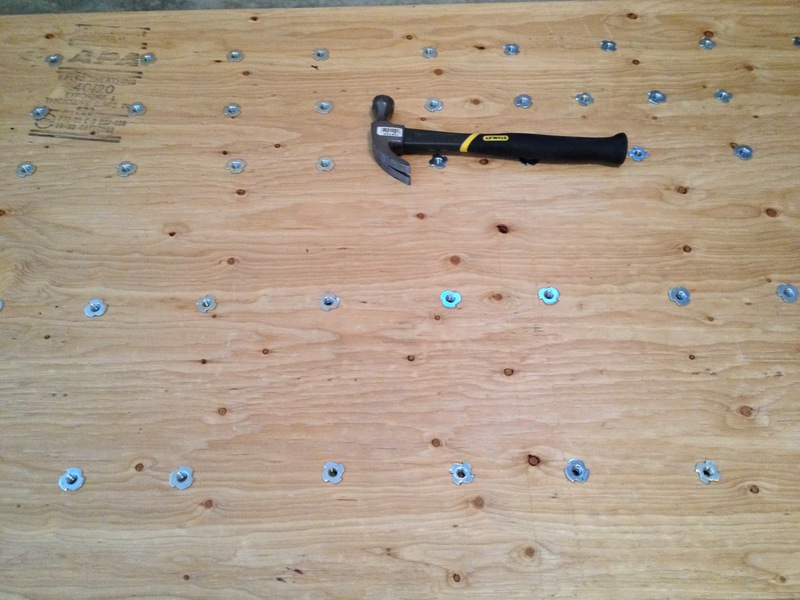 It’s just not sturdy enough, so each piece needs to span multiple studs. 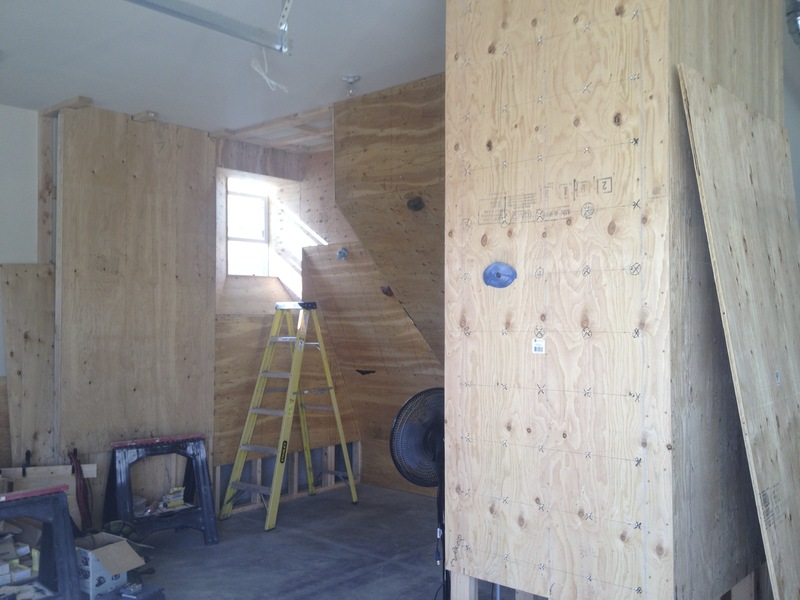 Once the plywood was measured and cut, we had to plan out where the holes were going to go, keeping in mind any adjacent walls. We ended up putting holes about 8 inches apart, starting 4 inches in. 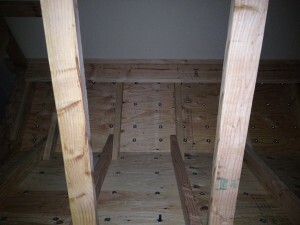 This allows us to avoid any studs on the edges, while keeping holes 8 inches apart spanning sheets of plywood. On the vertical, we had to keep in mind the widths of the holds and also try not to put them too close to the top or bottom to make them unusable. 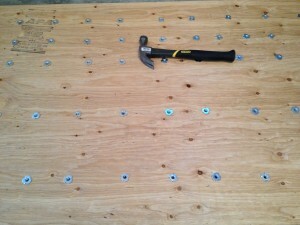 We marked out the studs on the plywood so we wouldn’t drill into them. If our holes came close, we’d nudge the marks left or right to avoid them. The planning for the holes took a long time but once we marked them out, it was quite quick to drill the holes out and hammer in the t-nuts. We placed some scrap plywood behind the board we were drilling so the back wouldn’t splinter and blow out. Having something in your house, especially something you built yourself, should a source of pride and beauty. We knew we didn’t want to leave a plywood colored structure in our garage. Besides, the splinters alone are a pain. Also, using climbing shoes on a flat wooden surface doesn’t simulate anything except climbing on plywood. Instead of just painting it (which would have solved the splintering issue) we decided to research some texturing. We found some recipes for mixing sand with paint and joint compound but that seemed like a hassle. We happened across some deck restore that will take old wood and apply a concrete-like layer on it for a hardened surface you could walk on. You can even color it too. We bought a small amount to test it out and it worked beautifully. It’s very thick and heavy so we had to apply it in thin layers but the end result is like climbing on rough granite. Smearing is awesome. Like most garage floors, our is made out of concrete: one of the hardest materials known to a human’s skull. Not wanting to use concrete as a cushion we commissioned Baboon Climbing to build us a crash pad that could fit in the space we had. What they came up with was a folding mat that we could break apart in the middle and use the smaller pieces around the gym. They did a great job and while it’s definitely softer than concrete, falling from our 10 foot tall bouldering cave is almost enjoyable, knowing they’ll be a soft but firm landing at the end. We’ve had a bunch of fun on our wall since finishing it, but I think the most fun is had by the kids that come over and climb on it. We left some flat walls for them and we plan on adding large features to the others to make them more interesting. As you can see, we have two flat walls facing each other that’ll let us add features, but there’s also two other flat walls that wrap around the original dividing wall that can be used. Starting your own project or have questions about ours? Let me know in the comments below! Now that we have the basic game play of our mobile game, as we discussed in part one of our game development series, we can begin to architect the game. We’ll start at a very high level and work our way down to the details. The way we do that is take the biggest chunks of the game and separate them out into their own classes that will perform specific tasks. As we mentioned in our last installment, our game will be a turn-based combat system. I first thought about having the main character’s home be a sort of base to defend, in a tower defense-like sub-game with additional element such as exploring the surrounding area, along with our combat system. While some great ideas came out on paper, I could see it quickly got out of hand to begin to program that. However, I continued to create the “ultimate” game and didn’t let myself be too worried about the programming. After I had exhausted ideas and creativity (sometimes that happens pretty quickly), I pared down the offerings and got rid of the tower defense idea (maybe in the sequel) and the other fluff. If we had the budget and the manpower, we might accomplish that, but given the budget and the time constraint, we’ll make this simple and hopefully still fun. The exploring a map part came back to a game like The Adventures of Link or Final Fantasy, where the character walks around a 2D map encountering enemies. I’m ok with that and drawing inspiration from games that work is what started this whole thing. Our game won’t win any awards for originality but that’s ok too. A Game Controller, the main controller of it all. This class will controller the main aspects of the game such as starting the game, which screens to present, and handling other organizational tasks. This is a singleton class that we can access from any other class to interface with it’s public methods. This is different from a global class in a number of ways. We’ll go into this in more detail later. A Storage Controller will control loading and storing various aspects of the game. We’ll tell the Storage Controller to get us things and we’ll tell it to save things. We don’t really care how the Storage controller does these things, just that it does and does them well. Likely, it’ll be to a custom file that we write that’s stored on the mobile device’s memory but it could just as easily be to a database, a network or external storage. By abstracting this system, we can plug it into our future games. The Display Controller will handle things like displaying items to the screen and removing them. We can build in some utility functions like fading in and out views. We’ll go through the Display Controller whenever we want to display our items. That way, everything that has to be displayed will be in one place. If your familiar with Corona SDK, under the hood, this controller will manage our Display Groups, animations and other display properties and organize them into screens. The Combat Controller will handle our combat scenarios. This has to be stand alone so that during testing, we can simply pass in a bunch of inputs and begin our battle. The way this will work is, we’ll launch the app, and instead of going through the usual paths, we’ll construct the data (enemies, player stats, level, etc) and then pass that all into the combat controller, straight to the fight. Then we can test the combat system and tweaking inputs without having to go looking for a fight every time. The City Controller will allow us to place our player in a city to explore. Again, this will need to be stand alone so that we can use different inputs to put our player into different scenarios. We can also manually change the files that the Storage Controller uses to advance the player through the game without having to play through it every time. Of course, we won’t build everything into these controllers as they would become huge and unmaintainable, let alone buggy, but those details will be built out later. This is a good start and will allow us to start work on the individual pieces. Our player will be either be in combat or exploring the map. Other interactions, like scavenging (this is a post-apocalyptic game after all), interacting with items and people or reading some part of the storyline are all secondary screens that will be shown on top of the combat or map. Menus and other things will work in a similar manner. These are sometimes referred to as modal windows since they will go on top our main display and capture all the interactions. These modal windows will likely have their own controllers or be grouped into controllers that make sense. These will all be organized by the Display Controller, so we’ll always know what’s on the screen and we don’t have to figure out if some lonely class somewhere deep in our game, is displaying something we don’t know about. As we’re still in the planning stage, we’ll hold off on starting the code just yet until we build out some more diagrams. However, we won’t build out a diagram for every single class we need as things will likely change and will be better changed in code. Think of this as outlining a school report. These are just the main things we want to talk about and we’ll include some of the sub-items, but we don’t include every detail. Soon, when we start the coding, we can look back and see the general blueprints of how we build everything out. The mobile app development business here in Idaho is good. So good in fact that my student loans are disappearing, I’m investing more and more with Franklin Templeton (Roth IRA, 529 Savings, growth stock mutual funds) making about 9% on my best investment (after the sales charge), and having the new baby makes the world an even better place. So after paying the bills, and paying down huge chunks of debt, I decided to give a little back and support projects that people are trying to do themselves. One way I thought of was to fund a Kickstarter or an Indiegogo project. These are donations to projects people are trying to create and they usually give some kind of gift based on the donation amount, often times sending you their product or service if you donate enough money. These are ok, but they’re not really an investment and I really wanted to invest in a project. So I decided to try Kiva.org and lend $200 with the idea that, that money will be used to fund small businesses and individuals around the world to give them working capital for their ventures. I decided to invest in Colombia since that’s the foreign country I know the best, it has a hard working lower class, and has a great potential to make a difference. While Kiva doesn’t give me a return on the investment, and the people borrowing the money are borrowing it at the rates that most people in the US pay on their credit cards, it does have an impact on these people’s lives. The borrowers usually provide updates on their progress throughout the lending period and you can follow along with their story. It’s a great way to find out what life and small business is like in countries you’ve never heard the name of. With Kiva, the principal is paid back to me over time, which I can reinvest, or withdrawal. There’s about a 1-2% of default and other fees, so over time, that money will dwindle down, but until then, you can reinvest and help other people, all along hearing their stories of success. Should we be teaching these people that borrowing is a terrible idea? Probably, but if we call it investing, it’s ok, right? Well, I figured $200 was a good number to figure out what this micro lending thing was all about. I’m still skeptical, but even if I eventually lose all that money (hopefully not for several years), it can be recirculated many times to continue to help fund different people’s small business ambitions. If you’d like to start your own Kiva investments, sign up here and Kiva will donate $25 to fund a project. Minimum is $25, so it’s easy to begin. I’ll let you know how mine works out and what my thoughts are on the whole process. If you know any other great ways to invest in small businesses and help get it started, let me know in the comments below! 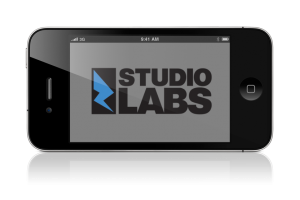 Welcome to the first part of our series on developing a game for iOS and Android. We’ll go through the process of starting from scratch: developing the concept, planning, architecture, graphics, testing, deploying the game and more. This is a full featured game, not a simple demo game. While the series will touch upon a bit of code, it’s not going to be code intensive. We’ll use code snippets to simply illustrate concepts and functionality as we build it out. Hopefully, everyone can follow along and see how we develop games. The beauty is, we don’t already have everything planned out, so you’ll get to see us come up with solutions, change direction, refactor code, and maybe make a few mistakes along the way. Be sure to subscribe to the blog or like us on Facebook to follow along. I’m also on Twitter. The decision to start a game shouldn’t be taken lightly. If it’s your first game, start small. Potential game developers tend to be overly ambitious and get quickly overwhelmed when the reality of the creation hits them. While we’re not necessarily veteran game developers, this is not our first game. Even so, we’ll start off small and iterate to show how we approach development of this scale. This is our approach but certainly not the only one. It’s extremely difficult to sit down and come up with a game in one sitting. For me, the process involved looking at a lot of games out there and picking my favorite elements of each, and thinking about how that would be built out. Whenever I see apps or games, I always think how it’s built and try to dissect it to see how someone might have built it out. I also couldn’t get it out of my head for the longest time, so I knew the motivation was there. I’m a fan of post apocalyptic movies and other media (George Romero movies, The Walking Dead, etc). I find it extremely interesting, as a programmer, that if the world as we know it ever ended, what would a guy with computer skills do? I’d be one of the least useful people with that skill set. This is something I’ve been thinking about for years and have a real interest in. I also love the Final Fantasy type games. The XCom series of games are still my all time favorite. Both of these games are role playing games (RPG) with turn based fighting, albeit very different approaches. This breaks down into having characters that all have characteristics and a fighting system that uses those characteristics, mixed with some randomization and probabilities and enemy intelligence (we’ll cover the topics of combinatorics and computer AI in later posts). So, I want to build a post apocalyptic role playing game with some turn based combat. That’s a great beginning and it’s all we need to get started. Story is important, as well as depth of game play, replayability and ultimately monitization, but that’ll come later. We might even decide on a different combat system as we flesh out some of those details. We haven’t started coding yet, so changing our mind is as simple as crossing something out and writing down something new. We want to build the app for iOS and Android. While we could do this in OpenGL ES, we’re looking for a little bit of a faster build time and 3D graphics might be over kill for what we’re building, especially if we don’t have a 3D artist to help. In our case, we actually do have a 3D artist, but that gets expensive very quickly. Instead we can stick with a 2D game, and fake the 3D by scaling objects down that are far away and scale them up as they approach the screen. Again, we don’t want to spend forever building this out, so let’s use an SDK that allows us to code once, and build natively for both. In this case, we can use Corona SDK which allows us to code in the programming language Lua (usually used as a scripting language for gaming engines) but compile to native Java and Objective-C for the Android and iOS platforms respectively. We’ve used other SDKs in the past, but Corona SDK allows us the fastest build time while still leveraging hardware features of the two platforms. This is something HTML5 can’t do yet and the experience is always subpar. We’ve been using Corona SDK for years for our previous games, but I’m not using it because I’m familiar with it. I invested a lot of time in learning Libgdx and figured I’d be alright deploying just to Android since its iOS capabilities are brand new and not mature, and require an additional $350 license for a 3rd party to make it work. I don’t like having to jump through hoops with my tools. So it wasn’t the right tool for the job for that, as well as other reasons. Corona SDK, while it doesn’t have the 3D capabilities that Libgdx has, we don’t need it for this particular game. We have designers, but they cost money. We have 3D capabilities, but that costs money. We need an SDK to build fast 2D games, which costs money for the license. We need sound and music, which costs money. To get started however is free. It doesn’t cost us anything to write down our ideas, architect the app and build the story. Even then, to use Corona SDK, is free until you want to deploy and test on a device (something that’s only needed right away if your app uses the accelerometer or other hardware specific features like that, that the simulator can’t simulate). For the Corona SDK, we’ll eventually need a license, which is $349 (cheaper if you’re a student). But since we don’t need this until the end, this won’t stop someone from building a game. For past games, we’ve budgeted about $250 for quality, royalty-free music and sounds. 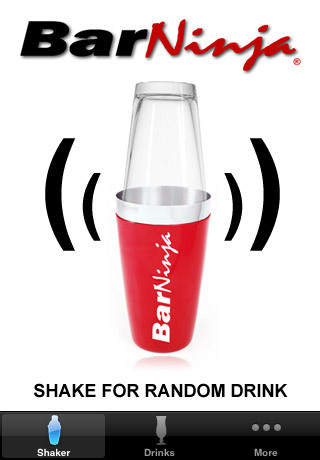 Of course you can always find free music and sounds, and this may be more within your own budget. Most games require custom graphics so this is going to be the biggest hit to our budget. Since we don’t know what we need yet, we’ll pull from past experience and try to limit our graphic needs to about $1,500 for now. That may be unrealistic, but we can work within that limitation and work smart to keep that price down. If you don’t set boundaries early, you’ll find things tend to balloon quickly. In reality, this would be the biggest expense. Since I’m doing all the coding myself, it’s technically free, but I do hope to get paid and feed my family. I’ll keep track of my hours for development (something we do for every project), so I’ll know the theoretical cost of development. It’ll also give you an idea of how long each thing takes to build out. So, we roughly have $2,100 budgeted for our game. That means, if we make $3,000 on iOS, our revenue will be $2,100 (after Apple’s 30%). The revenue on Android is very limited, so we’ll ignore that for now and consider it later. So the goal is to make more than $3,000 to simply recoup our costs. Can we do that easily? If we sell the app for $0.99, we’ll have to sell 3,030 copies to make $3,000. If we sell the app for $1.99, we only have to sell about half of that (1,508). I’ve created a spreadsheet to illustrate this for more combinations of prices. 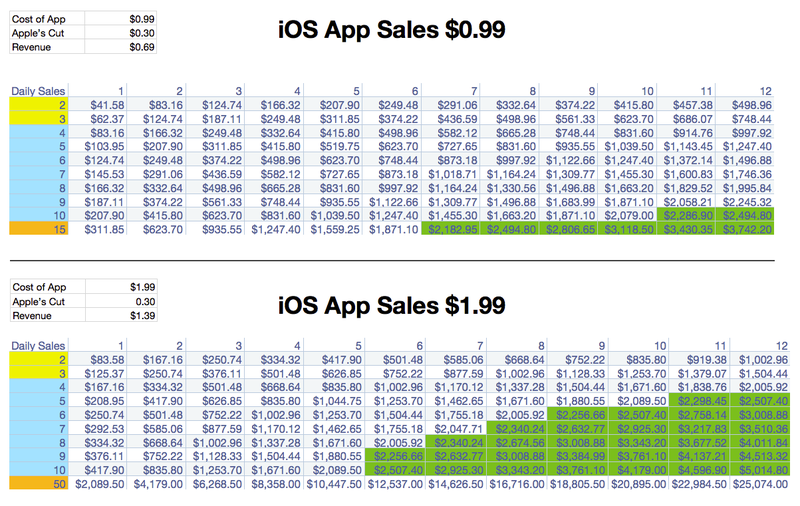 I also included time, to show how many months it’ll take to recoup that cost, based on average app sales per day. For example, if we only had 5 app purchases a day, on average, it would take a year to recoup that cost at $1.99. If we do decently and we can get 50 downloads a day, we won’t need to worry about the cost as we’ll recoup that in our first month. After that, we’re still only making $25,000 in a year. It’s not hard to get 50 downloads a day, but it does take a lot of work. As I like to say, it takes a lot of one dollar downloads to make a living. In the above case, we’re simply talking about costs, not profit. After costs, comes the profit of course. You’ll have to determine how much money you want to make, or how many downloads you think you’ll get and see if it makes sense for your budget. If not, lower the budget. But it’s a good tool to firmly plant you in reality. As I said, I’d love to make some money instead of spending it (we are a business after all), so how do we monetize it? I’m a little sick of companies offering games for free and then nickel and diming you for every little thing. Does it work? Oh heck yes. Does it make for a good gaming experience? Not really. People will pay for good content, so let’s focus on that first. As we build out the game in more detail, opportunities may present themselves that make sense. Otherwise we’re not going to shoehorn something that doesn’t match the game model. Does a game like this exist? Simple answer: yes. So what makes ours different? We’ll have to figure that out. In the mobile world, everyone has short attention spans, so games tend to be quick arcade-like games. You get in, you get out. You play then while you’re in line at the DMV, you play then in between your connections at the airport. I do believe the platform can support games that people want to play as they do with regular console games. The problem is, there’s not a lot of games that have deep story lines. Everyone is trying to make a quick buck, appeal to the casual gamer and move on to the next project. Well I’m not a casual gamer and I believe there are a ton of people out there like me who want a more involved game. Plus, with a low budget, we don’t necessarily need to make that quick buck. So we’re going to build a post apocalyptic role playing game, with turn-based combat, in Corona SDK, for about $2,100. Will we make the top 100 list? Probably not. Do I care? Not if it affects the fun of building a game and the enjoyment I’ll get when people play it. Luckily, I’m not a starving mobile developer and do quite well with my mobile development company here in Idaho. In the next post, we’ll talk about brainstorming ideas and requirements and concepting the game to bring it out of the fog my brain and into something more tangible. You see the process, rationale, and decisions made to create the overview of the game as well as the scaling back and limitations we’ll place on the game to stay within budget and release the app in a reasonable timeframe. So let’s start building a game that we’ll enjoy building and see where we’ll end up. I’m doing this to help others, since others have helped me. Please leave comments below so I know how I best help tailor the series to your needs and interests. Even if it’s just to say hi, I’d love to hear from you. Don’t forget to subscribe to the blog or like us on Facebook to follow along. I’m also on Twitter.